The Contract Works policies offered by FD Beck have been carefully considered to provide access to the best protection available by way of market leading coverage at competitive pricing. Construction is a complex industry where building companies survive on razor-thin margins and the difference between having the right or wrong coverage can make all the difference. Contract Works & Legal Liability Insurance combines two separate products together to provide comprehensive first and third party protection. Contract Works insurance is designed to protect all the construction materials against loss or damage throughout the construction period. Your projects are insured for a wide range of circumstances which includes events such as burglary, malicious damage, storm, flood, fire (including bush fire), etc. Broad definition of Insured which includes principals, financiers, contractors and sub-contractors of any tier, and other parties for whom the you are required to insure under contract. Flexible policy alternatives, e.g. project specific, annual turnover, pay by the month. Tools and equipment cover anywhere in Australia 24/7 which isn’t limited to the construction site. Claim settlements that allow for appropriate levels of builder’s margin and profit applicable to repair and replacement of insured losses. Cover for resultant damage to correctly built sections of the works caused by faulty workmanship, design or materials in other sections of the works. Cover for buildings materials stored off site, anywhere in Australia. 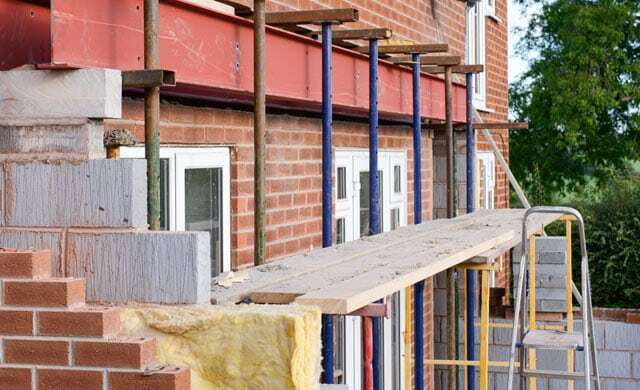 This section of the policy provides protection for you against amounts you may become legally liable to pay as compensation in respect of personal injury or property damage as a result of an occurrence in connection with your building activities. Once lawyers get involved the size of compensation and damages can run into millions of dollars and without the right insurance the results can be devastating to your business, therefore it’s important that you have access to comprehensive insurance coverage. Cover for Products & Completed Operations Liability. Ability to tailor cover to meet contractual liability requirements including cover for all parties required by contract to be insured (with Cross Liability provision included), no contractual liability exclusion, and waiver of subrogation allowed. Advanced payment of costs incurred to defend a claim.